Does this remind you of your home? Many of us have experienced this scenario: a neighbor installs a new light on their property. It’s an unshielded fixture that casts a bright light that spills onto your property and perhaps even inside your home. This is known as light trespass and it can cause a lot of agony and frustration. Although IDA doesn’t get involved in neighbor disputes, we have provided this resource that we hope will help you resolve your problem. If the nuisance lighting is from streetlights, see our Bad Streetlights webpage. To be fair, your neighbor may not even realize that their unshielded lighting is shining on your property, wasting energy, money and creating a safety hazard. Don’t hesitate to ask your neighbor for their advice or opinion in solving the problem. Goodwill goes a long way. Many people believe that more and brighter lighting makes us safer, but there is no conclusive evidence suggesting that’s true. In fact, glare from unshielded lights can create harsh shadows where criminals can hide. And bright lighting can even make it easier for criminals to work. So, how do you talk to your neighbor about this situation? We suggest taking the following steps to educate your neighbor, and by extension your community, about the value of dark sky friendly lighting. Make friends, not enemies. Your neighbors probably don’t even realize their lighting is bothersome. Stay positive and don’t argue. Be tactful and understanding about your neighbor’s right to light their property. Suggest alternatives to their current fixture. Ask them to move the light, shield it, or add a motion sensor so it’s activated only when needed. Offer to help get this done. Be informative. Talking to your neighbor is an great opportunity to be an advocate for good lighting. There are many reasons to use dark sky friendly lighting. Read up on the issues regarding light pollution. IDA also has a number of educational resources that can be useful. It’s useful to know the local costs of electricity (cents per KWH) and the local lighting control ordinances. This information is available on most city websites, from your regional utility company and on your utility bill. 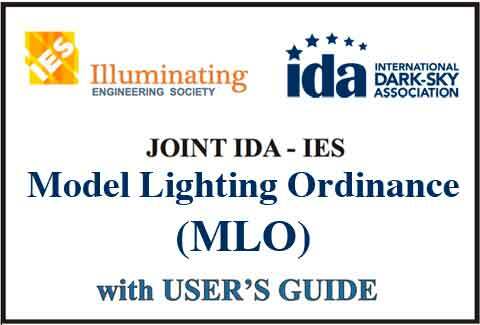 IDA also has this useful guide to help you find out if there is a lighting ordinance in your town. You may also want to compile a list of local businesses or homes in the neighborhood with good quality lighting as an example of effective security measures that are dark sky friendly. Having a list of shielded light fixtures to provide as alternatives to your neighbor’s current lighting is also recommended. 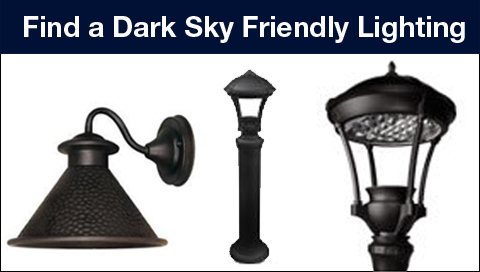 Use our Fixture Seal of Approval database to find dark sky friendly fixtures and devices. Don’t dismiss their need to feel safe. Remember that home is a place where everyone wants to feel relaxed and safe. Explain that light trespass is a form of light pollution, but we strongly advise that you don’t threaten legal action. The idea of a lawsuit can create bad feelings among the whole neighborhood. Write a letter. You may find it useful to put your thoughts on paper. We have provided a Sample Letter to Your Neighbor to get you started.